SOURCE: I fear that many members in the church of Christ are trusting in repentance and baptism, rather than Christ. We repent on the account of Jesus and his work and a hate for our sin; we are baptized on the account of Jesus work on the cross, the place He remitted sins. If we are looking unto water baptism as the agency whereby we are remitted of sin, we grossly fail to comprehend the work of Jesus on the cross. Doing so, we have turned the grace of God into a system or works whereby our obedience to baptism is efficacious and thus we preach another Gospel. In Acts 2, Peter declared to them the Gospel, the death, burial, and resurrection. They was cut to their hearts and ask what they needed to do about their obvious faith in Christ as their sacrifice for sin. They clearly understood that Jesus remitted sin though His death and was raised that they might live. They knew sin was remitted on the cross, they knew Jesus shed blood not covered their sin, but took it away. Rom. 5:8-10, says: “While we were yet sinners, Christ died for us. Much more then, being now justified by His blood, we shall be saved from wrath through Him: for if, when we were enemies, we were reconciled to God by the death of His Son, much more, being reconciled, we shall be saved by His life.” This verse is very deep and clearly states that we were reconciled to God by the death of His Son (when we were enemies) and it says how we are justified – by His blood. Jesus removed the wall between man and God, now we are justified by faith in the Blood which reconciled us to God when we were yet sinners. The church of Christ are so hung up on Baptism, that they do not even know when we were reconciled to God. By Jesus death we were reconciled while we were enemies while we were yet sinners. Peter seeing that they had saving faith in the shed blood of Jesus, said; repent and be baptized on the account of remission of sins. The Greek word EIS points like a finger in a particular direction, and in this case, it pointed back to the sacrifice of Jesus – the One who shed His blood for remission of sins. They responded in faith towards the work of Christ. They were not responding as one seeking Jesus blood in baptism, but responding in faith TOWARDS the Gospel. When Jesus shed his Blood, was it for remission of sins? YES! They clearly understood that Jesus Blood remitted their sins. They clearly understood that Jesus paid their sin debt in full. They clearly understood that animal sacrifices were no longer needed since Jesus Blood TOOK AWAY SIN. Behold the Lamb of God who takes away the sin of the World. No longer does man need to shed blood of an animal to atone for his sins, Jesus done that on the cross. Sin was dealt with ONCE AND FOR ALL. Now those who have faith in His Blood are Justified. What does this faith do? It repents and it submits to baptism. Why? On the account of remission of sins – the Gospel. Logically they repented and were baptized on the account of this understanding. They were not seeking to contact Jesus Blood in the water, they were faithfully responding to the Gospel. Matthew 26:28, Jesus says that his blood “is poured out for many for the forgiveness of sins.” Clearly, Jesus wants his disciples to make a theological connection between his coming death on the Cross and their forgiveness of sins. This would associate the remission of sins with the blood of Jesus. I believe Jesus is saying that the cup represents or symbolizes his blood. It means that when they take the cup in the future, it is to remind them of the literal blood of Christ shed for their forgiveness. The forgiveness comes by faith in the blood and not by drinking the literal blood of Jesus in the Lord’s Supper. I acknowledge that this is what the cofC interprets Jesus to mean in their view of the Lord’s Supper. But, this interpretation betrays an exegetical, as well as a theological, inconsistency. They do not use the same principle for Matthew 26:28 as they do for Acts 2:38. They take the former as symbolic and the later as literal. In the first passage, they use a more Reformational approach to avoid promoting the Mass. But, in the second passage, they use a sacramental approach and affirm the Roman Catholic position on baptism. They are both symbolic and illustrate the higher reality of the blood of Christ shed for our sins, which we appropriate by faith (fides qua creditur)- the position of most Reformation/Evangelical churches). Any other position would involve a purely capricious, ambiguous and ultimately, self-serving interpretation of all of Scripture. Peter clearly preaching that the old system of blood sacrifices and the Law are superceded by the Sacrifice of Jesus Christ. It is Jesus’ blood which remits all sin, not baptism. For those who were guilty of crucifying Jesus, there could not have been a greater nor more humiliating act of submission and repentance than to be baptized “in the name of Jesus” – the very one they murdered. They were to be baptized “in Jesus’ name” or “on account of Jesus.” Why? Because it was his death that remitted their sins. It was on account of Jesus’ death on the Cross that they were forgiven. The very blood that they shed in heinous sin would now be the blood of grace and mercy whereby they would be cleansed. This repentance and faith would all be pictured in the beautiful but humbling act of baptism. Heath misses this. He places his faith in his ability to find water, not understanding that the Blood of our Messiah was shed in time past and now one is justified by the Blood though faith. Heath also misses the fact that through the death of Jesus we were reconciled to God, WHEN WE WERE YET SINNERS. HAVING BEEN ( past tense ) reconciled to God, we shall be saved by His life. The Blood of Jesus remitted sin, took it away, making us reconciled unto God thru His death. Now justification comes through faith in His Blood. We are saved not by His death ONLY, but because he rose again, that we might have life. 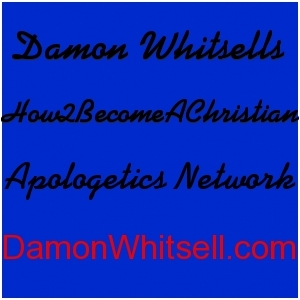 Jesus reconciled us to God when we were enemies, how? By remission of sins. 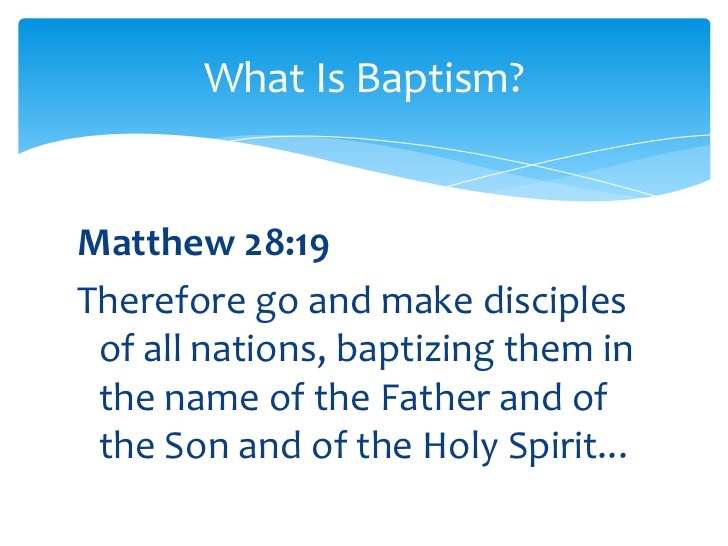 Posted on November 9, 2015, in Baptismal Regeneration and tagged baptism, baptismal regneration, church of christ, church of christ baptism, church of christ baptismal regneration, is baptism essential for salvation, Is baptism required for salvation, why be baptized. Bookmark the permalink. Leave a comment.